The US livestock industry has enormous economic and political clout. But news reports consistently highlight a small segment of it - ranchers grazing livestock on federally-managed western grasslands - as news sources, granting them undue influence on policy issues in which they have a large economic stake. 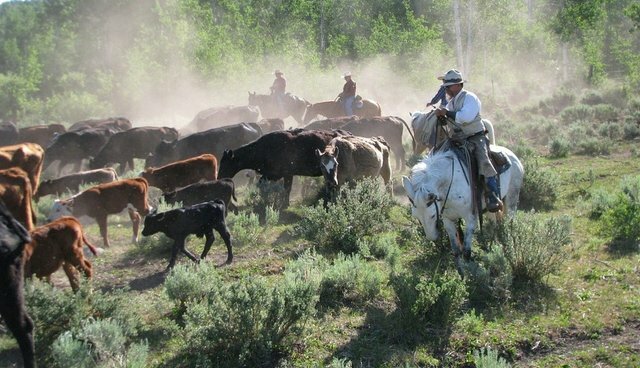 This bias has occurred despite a decade's worth of empirical evidence showing that public-lands ranchers - who rely on hundreds of millions of dollars in taxpayer subsidies but represent only 2.7 percent of the nation's total livestock operators - fleece US taxpayers, public lands and protected species in order to graze livestock (mostly cattle) on the cheap. The media bias seems endemic. Whether discussing wild horses, bison, predator species (wolves, coyote, cougars and bears), sage grouse or desert tortoises, livestock operators and lawmakers from western states are consistently allowed to present themselves in news reports as stewards of 230 million acres of grasslands, forest and wildlife habitat that nearly everyone agrees have been compromised. And they do this while suing the federal government to remove wildlife at public expense, block wildlife protections and gain control of federal land. Check out the linked articles and see for yourself. The federal grazing subsidy gives them the political and environmental power they're currently exploiting. But the media doesn't mention it - and the ranchers never bring it up.